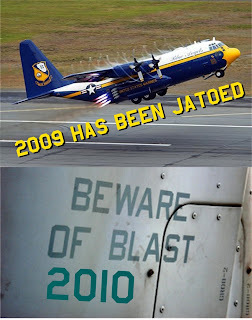 While we JATO 2009 into the archives, we look forward to the Aerotainmant Blast that 2010 promises to be! We would also like to thank you for your continued support over the years, it is appreciated and we trust that everyone has a safe, successful, and prosperous 2010. Air Force officials announced Dec. 10 that Lt. Gen. (Ret.) John L. Hudson will become the new deputy director of the National Museum of the U.S. Air Force. Hudson is the first to fill this newly established position. The creation of a deputy director role reflects the continuing growth of the museum and its inestimable value to the Air Force. Attendance at the museum is at an all-time high, drawing about 1.3 million visitors annually. Click here for more information. Commemorate the sixth anniversary of the Mars Rovers by learning about the exciting field of robotics during Family Day from 10 a.m.-3 p.m. on Saturday, Jan. 16. Designed for children and adults of all ages, Family Day offers several hands-on opportunities for all to enjoy. Click here for more information. The Honorable Craig W. Duehring will present "Nevermore - The Story of the Raven FAC's and the Secret War in Laos" at 7:30 p.m. on Wednesday, Jan. 27, as part of the museum's Wings & Things Guest Lecture Series. During his presentation, Duehring will tell the true story of the forward air controllers who fought the war in Laos. While their role only lasted from 1966 to 1973 and fewer than 190 pilots were ever involved, their impact on the war was far greater than their numbers would suggest. Click her for more information. The museum will be open for special hours from 6-10 p.m. on Friday, Feb. 5. Guests can purchase a home-style dinner in the café, listen to family-friendly stories about aviation history, stay for a movie in our IMAX Theatre (with reduced rates) and enjoy complimentary desserts and hot beverages to keep you warm as you head back home. The gift shop also will be open. Watch the museum's Web site for additional information in the coming weeks. Join more than 475 volunteers at the world's largest and oldest military aviation museum. Volunteers are needed for a variety of service and technical duties. You can belong to the volunteer program that pioneered volunteerism throughout the USAF and become acquainted with aviation enthusiasts from around the world. Click here to learn more about volunteering at the museum. Since 1962, the Minuteman missile system has played an important role in American strategic defense. Highly trained and disciplined U.S. Air Force crews in isolated, heavily protected missile control complexes maintain, secure and operate the system. This missile trainer and the model on display in the Missile and Space Gallery represent Minuteman II systems operational from 1966 through 1991. Click here for more information about this exhibit. 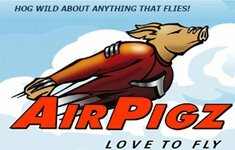 SAVE ON MIDWEST AIRLINES FARES TO EAA AIRVENTURE OSHKOSH 2010! roundtrip travel 7/2-8/21 from all Midwest service markets in the U.S.
Good for all Midwest arrival cities in Wisconsin and Minneapolis, Minn.
airline or your travel agent for the best savings. programs, call 1-800-JOIN-EAA (1-800-564-6322) or visit www.eaa.org. Immediate news is available at http://twitter.com/EAAupdate. 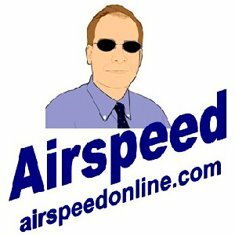 Ultralight loses control on an airshow | microlightwings.com by Darren | An empty ultralight loses control on an airshow and runs into the crowd. Top aviation stories of 2009 - Photos - USATODAY.com from mediagallery.usatoday.com | A veteran pilot glided a US Airways jetliner with two dead engines onto the river's frigid surface so smoothly that all of the 150 passengers and five crewmembers escaped serious injury. Some didn't even get their feet wet. 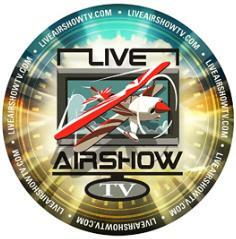 Many of us go to airshows and love the prop-driven warbirds and the military jet team performances. But there's a space in there that's inhabited by a special breed of airplane and pilot. That's the civilian-owned and operated jet warbird. One such jet warbird is the L-39 Albatross. It's a high-performance jet trainer developed in Czechoslovakia during the 1960s to replace the L-29. It was the first of the second-generation jet trainers, and the first turbofan-powered trainer produced. The National Museum of the U.S. Air Force is seeking information related to its Boeing WB-50 aircraft. In the 1950s, modified B-50Ds, like the one on display at the museum, were equipped for long-range weather reconnaissance missions with high-altitude atmospheric samplers, Doppler radar, weather radar and a bomb-bay fuel tank for extended range. P-51 Mustang Owner Bob Baker Describes His Journey to the Pattillo Brothers Rarely do a group of Warbird restoration enthusiasts get a chance to honor the brave sacrifice of the veteran pilots for which their planes represent; yet, that is precisely the extraordinary opportunity that became a reality for Bob Baker and his hard-working crew when they brought two legendary WWII pilots, the Pattillo brothers, to EAA AirVenture 2009. A good place to start would be the Abingdon Air & Country Show, one of the very first airshows of the year. The Abingdon show was one of the first for Planes TV using new camera equipment bringing some very good image quality throughout the DVD. The DVD starts with a brief look around the show with some passing shots of the classic cars and even the daleks! The "aviation" side of the DVD is opened by the dramatic arrival of the RAF's C-17A Globemaster III. For anyone who was actually at the show, you'll remember just what a sight it was and PlanesTV capture it well. Interviews with the crew are particularly welcome. Russia's space chief said Wednesday his agency will consider sending a spacecraft to a large asteroid to knock it off its path and prevent a possible collision with Earth. EAA Expands Search For Next President from AVwebFlash Current Issue | EAA is moving forward with its effort to find a new president, and international executive search firm Korn/Ferry has been selected to help find and screen potential candidates, the organization announced last week. EAA also invited members and anyone else with an interest in the search to suggest names. Tom Poberezny announced in March that a new president would be chosen for the group, which has had only two presidents -- Tom and his father, Paul -- in its 50-year-plus history. The next president was expected to be named at EAA AirVenture, but that deal fell apart, and Poberezny told AVweb in October the failed attempt generated debate among board members. (Click here to listen to the full podcast interview with AVweb's Russ Niles.) Poberezny also said the board is more concerned with getting the right person than with meeting a deadline. Korn/Ferry's job posting features a long list of responsibilities, including providing leadership and direction to the staff, developing annual and long-range plans, and eventually taking over the planning for AirVenture. Aviation Adventures is now Available in MS Word Format! from The Aero Experience by PhantomAces | The eBook Aviation Adventures, an activity book for young aviators, is now available in MS Word format. Please order yours today for your donation of $2.00 via the PayPal button at the top of the first page. Be sure to give your email address to receive the file. I will have .pdf version in the near future. Thanks for your support of this educational adventure, and PLEASE also give generously toward the maintenance of this site! The "Wings Over Wine Country" Air Show, August 21-22, 2010, in Santa Rosa, California, will host the first ever Aerobatic Racing Challenge Performance in Northern California. Bill Cornick and Spencer Suderman will fly against each other in the Aerobatic Racing Challenge, side by side, each required to complete a prescribed set of aerobatics precisely as outlined. The pilot who finishes first is the winner. The Aerobatic Race Challenge series, pioneered by Suderman and Cornick, debuted on the air show circuit in Southern California last show season and was an instant hit. It is a new and innovative airplane racing format launched in 2009 featuring high-performance aerobatic aircraft competing on a vertical race course that forces pilots to balance mental strategy and precision flight. Pilots race their aircraft side-by-side through a sequence of aerobatic maneuvers that requires each pilot to fly faster, corner harder, and pull more g-forces. The first aircraft to complete the entire sequence wins the race. A pilot’s keen instinct and raw flying skill are challenged with intricate maneuvers such as the Avalanche, Humpty-Bump, Hammerhead and the violent Tailslide, a spectacle sure to keep the crowd on the edge of their seats! Pilots make split second decisions to leverage their own aircraft’s advantages while seeking to exploit the weaknesses of their opponents, typically resulting in a close “come–from-behind” finish. The 2010 "Wings Over Wine Country" Air Show announcer, Danny Clisham, will be joined on the announcer's stand for the aerobatic challenge race by Jon "Huggy" Huggins, famed U-2/T-38 pilot, who has announced previous aerobatic challenge races between Cornick and Suderman. Mark August 21-22, 2010, "Wings Over Wine Country" Air Show in Santa Rosa, CA, on your calendar now, and see the first Aerobatic Racing Challenge ever performed in Northern California. Randy Ball and the MiG-17F, Jan Collmer's EXTRA 300L, Michael Goulian, The Horsemen P-51 Flight Team, Indy Boys' Port-o-Jet Outhouse, Indy Boys' School Time Jet-Powered School Bus, Greg Poe and the FAGEN MX-2, Sean Tucker, and everyone's favorite skytalker - Danny Clisham. Headliners for the show are the US Navy Blue Angels and the US Army Golden Knights. Military teams will be announced in Spring 2010. The International Biplane Association will hold its 2010 Fly-In at historic Ranger Airfield (F23) in Ranger, Texas. Jan. 27, 2010 - 7:30 p.m. The Honorable Craig W. Duehring was born and raised in Mankato, Minn., and entered the Air Force in December 1967. He was commissioned through Officer Training School and completed Undergraduate Pilot Training at Craig AFB, Ala., in early 1969. His first assignment was in the O-1 Bird Dog as a forward air controller for the 25th ARVN Division at Duc Hoa, Vietnam. In April 1970 he transferred to the classified "Raven" program in Laos and flew out of the "world's busiest airport" -- the CIA-backed Hmong guerilla headquarters at Long Tieng (Lima Site 20A) in both the O-1 and the AT-28. When he left Laos in March 1971, he was the longest serving Raven at Long Tieng in the history of the program. Here's a video from the Academy of Model Aeronautics. These days, they fly electric models, so they are quite and clean. Aero-TV: The Spruce Goose: Evergreen Museum's Crown Jewel from Aero-News Network | Educational Director, Larry Wood, Profiles the Infamous Spruce Goose In July of 1942, while the United States remained embroiled in World War II, famed industrialist Henry Kaiser proposed a fleet of flying transports to safely protect troops and supplies from German U-boats. Joining forces with Howard Hughes, Kaiser obtained an $18,000,000 government contract to construct three "Flying Boats." On This Day in Aviation History: December 29th | NYCAviation.com ... by Phil Derner Jr. | The crash of Eastern Airlines Flight 401 in the Florida Everglades in 1972, as well as the crashes of a Tarom AN-24 in 1974 and Turkish Airlines Flight 278 in 1994. In 1921, two men fly a plane over NY for over 26 hours. Doug Maltby opened his scrapbook to a document yellowed with time and ran his fingers over the list of infantrymen and ammunition that filled his U.S. Army glider on June 7, 1944, when he nosed it into a field on the front lines in Normandy. The SubSonex, a jet-powered homebuilt aircraft being developed by Sonex Aircraft, LLC, completed its first engine run last week at the company's Oshkosh, Wisconsin, headquarters, according to a report at EAA.org. Applications are now available online for scholarships from the Georgia Business Aviation Association (GBAA) Foundation. For full-time students, scholarships are available to Georgia high school graduates enrolled at accredited U.S. colleges and technical schools in fields of study related to aviation, including aeronautics, maintenance, management, operations and engineering. Continuing education scholarships are available to GBAA members. Applications are being accepted through March 15. Last Thursday, DARPA announced a workshop for Transformer. That is, their flying car program. "The objective of the Transformer (TX) program is to demonstrate a one- to four-person transportation vehicle that can drive and fly, thus enabling the warfighter to avoid water, difficult terrain, and road obstructions as well as IED and ambush threats"
Being in the festive spirit, I thought I'd share with you the twelve days of Airplane Geeks Christmas brought to you by the Airplane Geeks Podcast. The Museum of Flight: Winter Break Blast Off! Spaceship Two is out of the Hangar!